With an average purity of 70%, they combine state-of-the-art peptide production and purification with broadest antigen choice. These peptides are purified to >80% by HPLC and are endotoxin tested. Two convenient sizes are available, for stimulation of 108 or 109 cells. When you are developing your research towards clinical applications, choose from this portfolio of GMP-grade peptide pools. MACS® GMP-Grade PepTivator® Peptide Pools consist of lyophilized overlapping oligopeptides (mainly 15-mer), covering the complete sequence of the respective antigen. PepTivator Peptide Pools, recombinant proteins, and lysates have been designed for efficient in vitro stimulation and subsequent isolation of antigen-specific CD4+ and CD8+ T cells. These products have been developed for the separation with the CliniMACS Cytokine Capture System and are manufactured under strict quality assessment and in accordance with relevant GMP guidelines. Now you can perform in vitro stimulation of human antigen-specific T cells in a convenient, 96-well plate format. PepTivator HT provide quality synthetic peptide pools to enable high-throughput applications. Simply combining modular antigen-specific strips on a single 96-well plate. 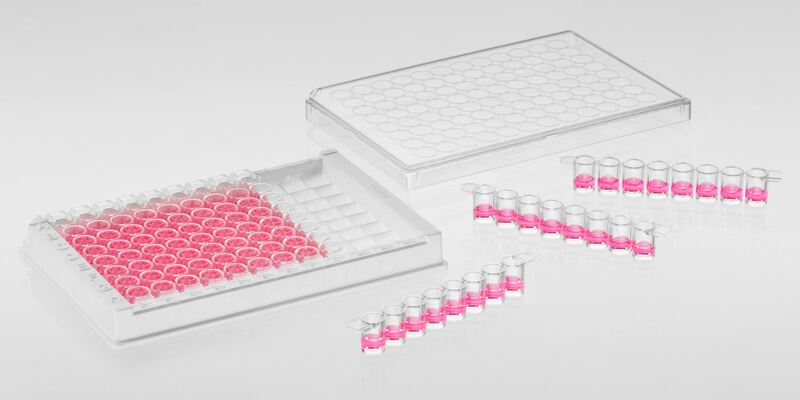 Assemble your customized assay by simply combining modular antigen-specific strips on a single plate. This level of absolute flexibility leaves you in full control of your experimental setup. A control strip can also be easily added. More flexibility, greater convenience, and comprehensive support from the experts in T cells.